Chicago Red Stars host the Orlando Pride for Lifetime's NWSL Game of the Week. Well that's all for today. Thanks for joining me in an eventful game of the week. I'm Emily Sanzone, see you next time! 90' +3 - Gorden gets another shot off but Harris punches it out of the goal. 6 minutes of stoppage time have been added to the second half. 90' - A mess in Orlando's box gives the ball straight to Gorden who sails the ball over the crossbar. 83' - PRIDE GOAL!! - Orlando counters with an Alex Morgan cross that gets to Dani Weatherholt just slots the ball right pass Naeher! 79' - Kerr gets straight on the ball and tries to chip Harris but she is able to collect the ball. 78' - And we're back! 75' - Gilliland gets a service into the box which gets to the head of Ertz but the ball goes out for a goal kick. 71' - Foul on Gorden gives Chicago a free kick. The ball slips pass the defense but Harris cleans it up. 70' - White gets a shot off but Harris makes an easy save. 66' - Corner coming up for Chicago. Krieger looks to be in pain. 63' - PRIDE GOAL!! - A miss clearance from the defense gives Leroux her second of the match! 62' - PRIDE GOAL!! - Ali Krieger sends a ball into the box and Sydney Leroux slots it pass Naeher to give the Pride the lead again! 61' - RED STARS GOAL!! - Nagasato slips the ball to Kerr who ties the match and gets her second of the match! 58' - Van Egmond commits a foul, giving Chicago the kick. 53' - Kerr breaks free again but the referee calls her offside. 48' - Johnson fouls Hill giving a free kick for Orlando. 47' - A couple of chances for Chicago but nothing comes of them. 45 +4' - Poliana with a cross but Naeher punches it away from danger. 45' - Vasconcelos sends one over Orlando's defense for Kerr but she is called offsides. 41' - Kerr sends a low ball into the box but Vasconcelos is to slow to get to the ball. Poliana clears the ball out for a corner. 39' - Emily Van Egmond takes the second cross which almost bends into the net but Naeher is able to punch it out. Alanna Kennedy then gets the rebound but Naeher is able to get her fingers to it to send the ball off the post and out for a goal kick. 37' - Katie Naughton clears the ball out for an Orlando corner kick. 35' - A couple of chances for Orlando but Naeher eventually comes off her line and calms it down. 33' - And we're back! 27' - Gilliand crosses in for Kerr who gets a shot but is deflected off Harris for a Chicago corner. 25' - Foul on Julie Ertz, free kick for the Pride. 23' - No one gets anything on the second corner and the ball goes out for a Chicago goal kick. 22' - Orlando gets the first corner of the match. It goes back out for another kick. 21' RED STARS GOAL!! - Kerr goes 1v1 with Ashlyn Harris, Harris makes the save but the ball is still in play. Yuki Nagasato sends the ball back in and Kerr gets a head on it for the goal. 15' - Michelle Vasconcelos fouls Marta, Marta takes the kick. 12' - Arin Gilliland sends one in the box but Sam Kerr isn't able to finish. 6' PRIDE GOAL!! - Marta bends one into the box and Alex Morgan heads the ball in to double the lead! 2' PRIDE GOAL!! - Poliana sends a ball into the box and Rachel Hill slots it in the back of the net! 1' - Kick off is underway! Kickoff is about 15 minutes away. We'll be back for the start of the game! Welcome everyone to the Lifetime Game of the Week! My name is Emily and were getting closer to kickoff between the Chicago Red Stars and Orlando Pride. Here are the lineups for today's match. That's all for pregame analysis! Make sure to tune in on May 26th at 3:30 pm EST for live updates on the Chicago Red Stars and Orlando Pride match up. The game will also be streamed on nwslsoccer.com and it is the LifeTime Game of the Week. Orlando By The Numbers: Chioma Ubogagu leads the Pride with four goals scored, including one of those being against Chicago, she is also tied for second in the league for goals scored. Goalkeeper Ashlyn Harris is fifth in the league with 26 saves and she also has three shutouts similar to Naeher. Christine Nairn leads the team with three assists and is in a fifth way tie for first in the league. Ali Krieger is third in the league with ten blocks and Shelina Zardorsky leads the Pride with 48 clearances. Orlando is coming off of a quick turnaround after playing a midweek game against undefeated North Carolina. Their were a total of seven goals scored in the match and Orlando had three of them. The two teams traded back and fourth with the lead until finally in the 93rd minute, Jessica McDonald scored to give North Carolina all three points. 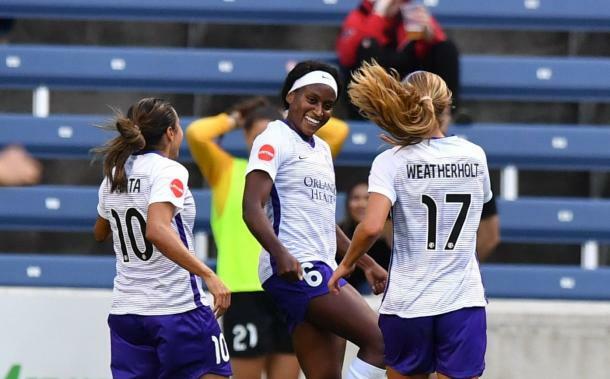 This game was an important one for Orlando and even with all of the goals scored, they weren't able to contain the reigning NWSL Shield Winners. Orlando Pride: The Pride are tied with points with the Red Stars but have managed to stay ahead in 4th place. Orlando has an overall record of 3-3-3 and a record of 2-2-1 away. With the amount of highly talented players the Pride have, people are shocked that they haven't been able to win more games. It was shown just the other day in a match up against the North Carolina Courage that the Pride's biggest problem is their inconsistency in the defense. Chicago By The Numbers: Naeher is second in the league with a total of 31 saves. She has also allowed 11 goals and had three shutouts. Alyssa Mautz and Sofia Huerta are tied for third in the league for goals scored with each having three. Danny Colaprico is second in the league for 24 chances created and leads the Red Stars with touches on the ball. Chicago is coming off a close 0-0 draw with Seattle Reign FC. With this being said, the defenses were on both sides were stellar during this game. 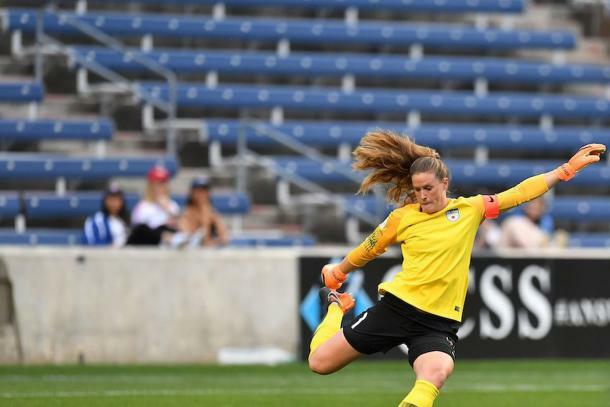 Alyssa Naeher made a total of four saves and the defense had a total of 26 clearances. The Red Stars also had a total of 11 shots with four of them being on goal. Chicago Red Stars: The Red Stars have a record of 2-2-5 which lands them just outside of the playoff spot in fifth place. It hasn't been the easiest for the Red Stars to find their groove with a lot of their key players being missing from injuries. With most of those players returning to the field, like Julie Ertz who was missing from the last meeting, the Red Stars could be finding their way back into playoff contention. This meeting will be the second one of the season for the two teams. The last time they met was in a mid week match-up with the Orlando Pride earning their first win in franchise history over the Chicago Red Stars. The Pride won 2-0 with goals from Chioma Ubogagu and Rachel Hill. 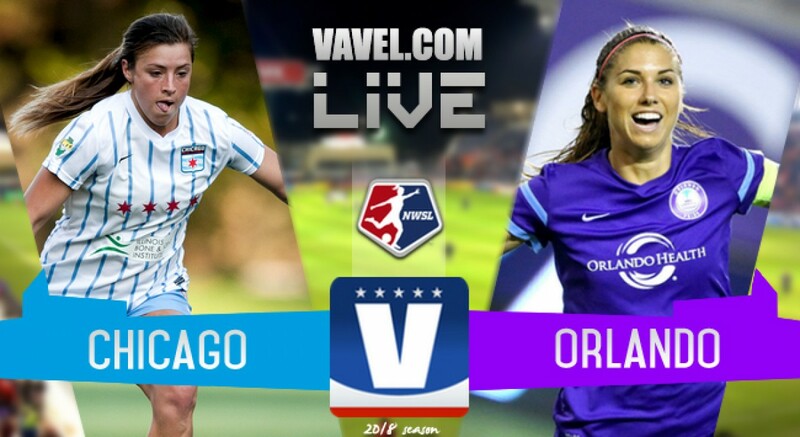 Welcome everyone to VAVEL USA's live coverage of the National Women's Soccer League Lifetime Game of the Week between the Chicago Red Stars and Orlando Pride. My name is Emily Sanzone and I'll be your host. Follow along with VAVEL USA as we provide pre-game analysis, roster news and live game updates.